When Glenn Beck held his Restoring Honor rally in 2010, he was joined on the platform by patriots of every stripe, including many prominent Christian leaders. Those leaders lauded him not only for his commitment to morality and Constitutional government, but for his faith in God. 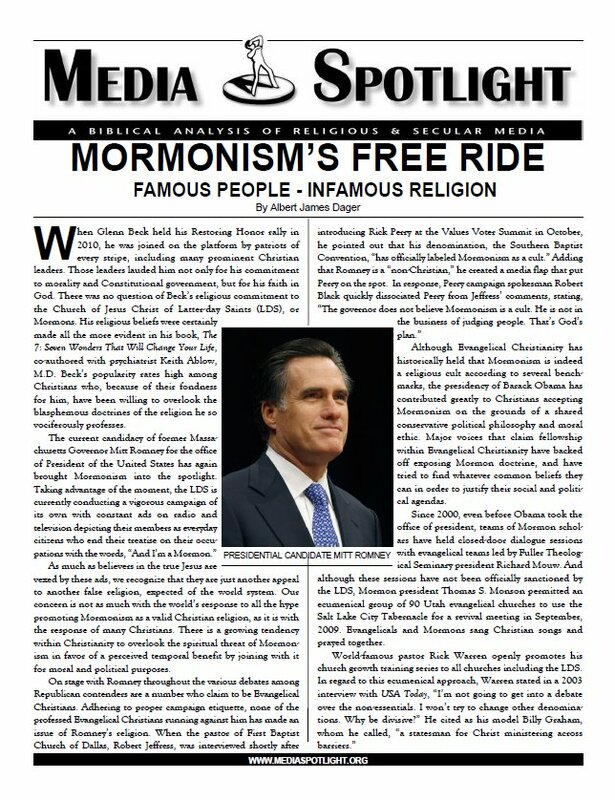 There was no question of Beck's religious commitment to the Church of Jesus Christ of Latter-day Saints (LDS), or Mormons. This important study defines what makes any organization or group a cult in the negative sense. It offers a departure from the compromising position of certain "cult researchers" who define the term in such a narrow context that they avoid offending large institutions. Al Dager approaches the subject from the theological model rather than from the sociological model which tends to normalize the beliefs and practices of dangerous institutions purely on the basis of their general acceptance by society. 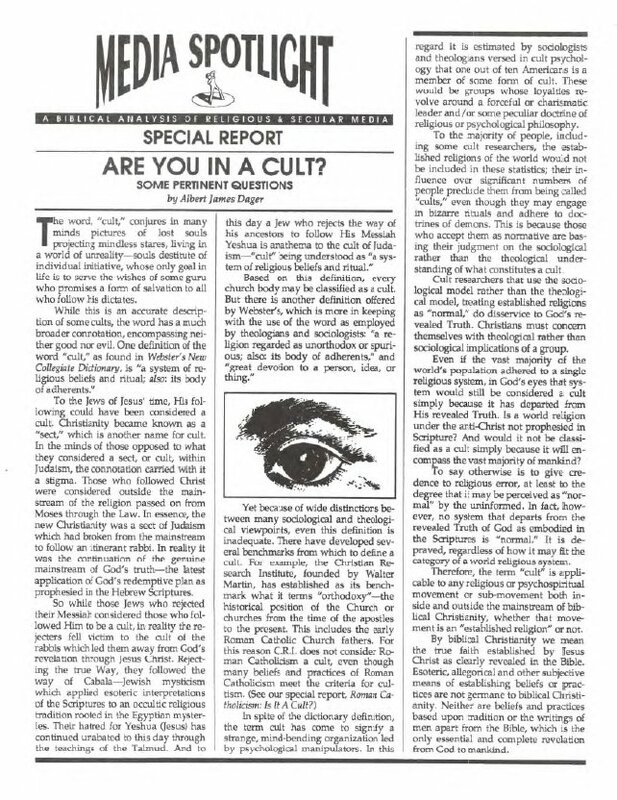 He also offers some pertinent questions which may help the reader determine whether or not he, himself, is a member of a cult. By checking a box next to each question, the reader will be able to see in a graphic manner just how deeply involved in a cult he may be. An excellent help for Christians to approach those they know or just suspect may be in a cult. ISLAM - Religion of Peace or War? Citing the Koran and other Islamic writings, this study on the fastest growing religion in the world and in the United States, exposes Islam's anti-Christ nature and its birth and spread through violence throughout the centuries. There may be peace-loving Muslims, but they are not really living in obedience to Muhammed, the one they claim is the prophet of Allah. 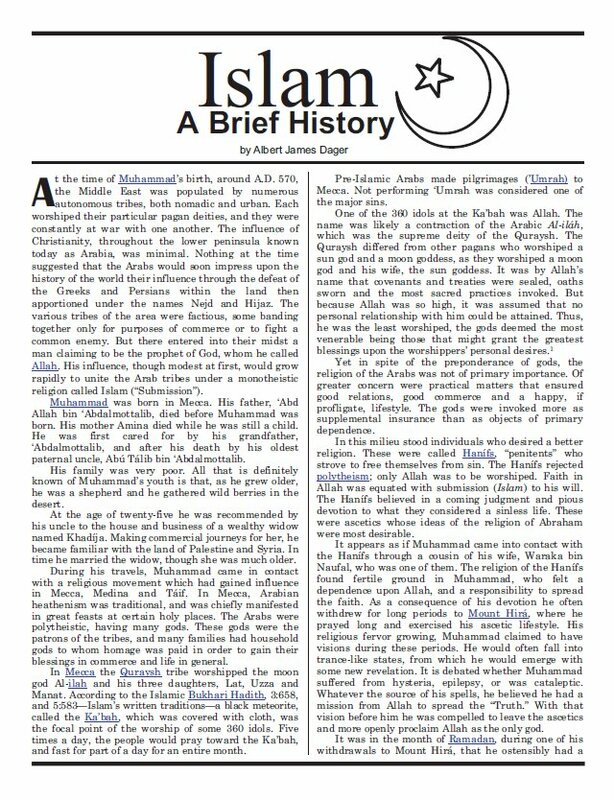 The so-called "radial elements" of Islam are the true disciples of Muhammed and his teachings. A unique approach to understanding this institution, this study presents an outline of critical teachings and offers the biblical response to those teachings. 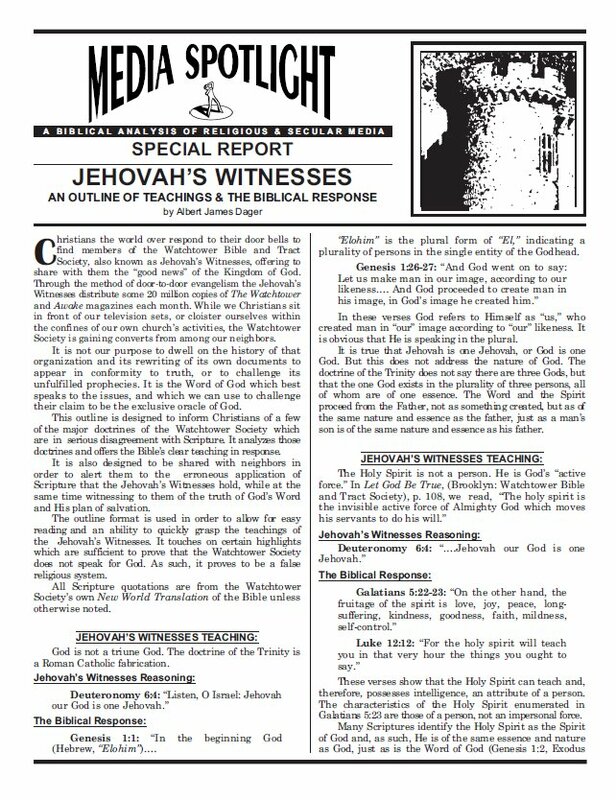 It also presents the Jehovah's Witnesses reasoning based upon erroneously understood Scripture for believing what they do. This enables the reader to understand not just what they believe, but why they believe it. 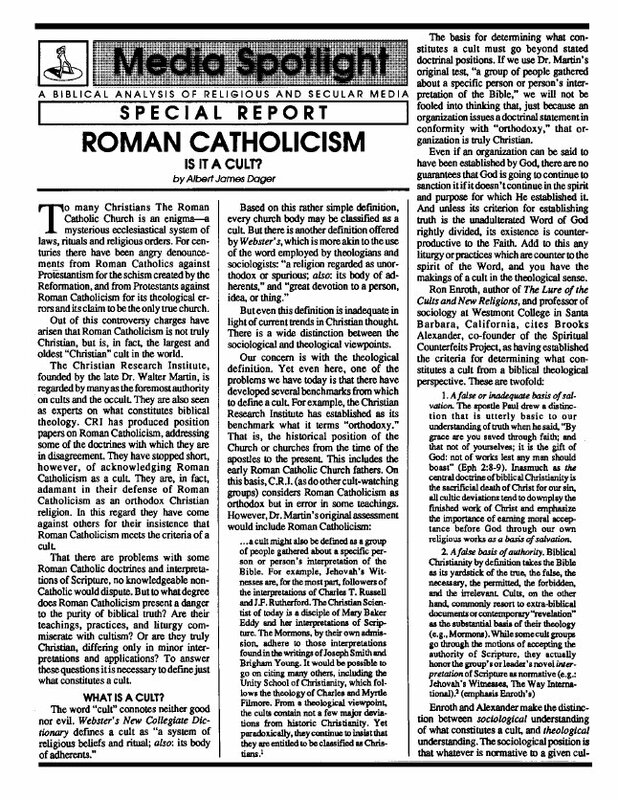 ROMAN CATHOLICISM - Is It A Cult? To many Christians, the Roman Catholic Church is an enigmaa mysterious hierarchical religious system of laws, rituals and religious orders. The author, raised in the Roman Catholic Church, takes a candid but loving approach to demonstrating that Roman Catholicism is, in fact, the largest and oldest "Christian" cult in the world. All material copyright Â© Media Spotlight Ministries.